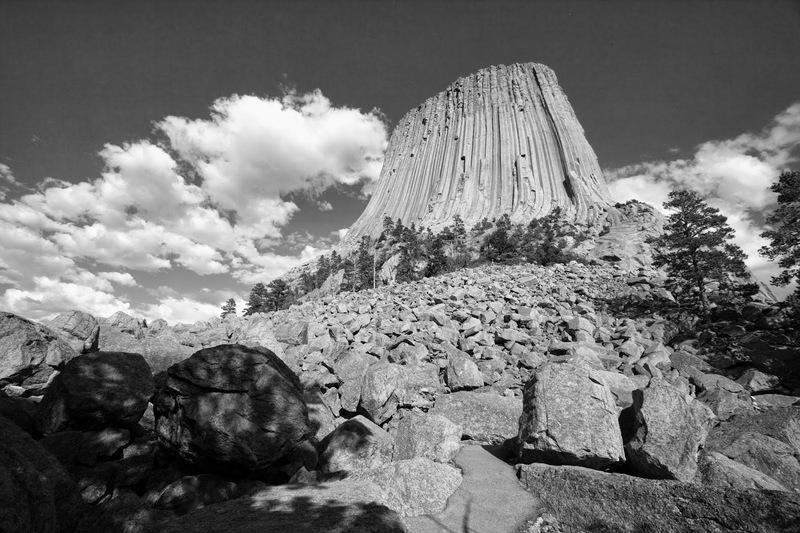 Part of the rationale for driving through the furnace of South Dakota was so that Kari could lay witness to Devils Tower National Monument. 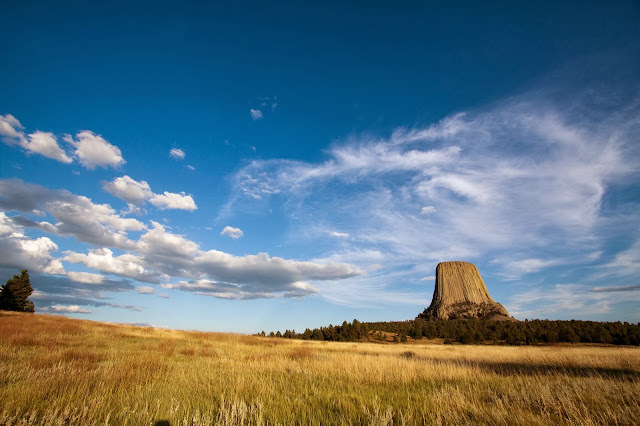 Rising from the plains just west of the Black Hills, this giant monolith towers over the landscape. Many Native American groups view this landmark as a scared place; one story describes it as a great tree that a giant bear climbed to heaven. To top it off, it is also a mecca for rock climbing enthusiasts, seeking to scale this mighty tower. We just strolled around its base, gazing at this majestic tower in awe, before venturing on to our next over night rest stop in Gillette, WY. Kari also reminded us of our rock scrambling the boulder field, gazing romantically over the plains and viewing Native American Prayer Clothes. Click here for more photos from Devils Tower!